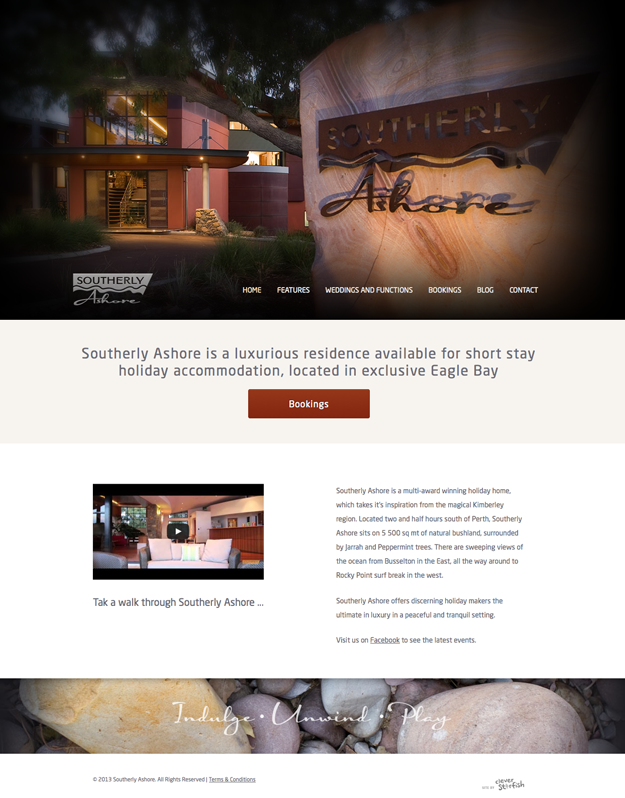 Southerly Ashore is a luxury property in Western Australia’s beautiful Eagle Bay catering to small groups on holiday and couples wanting intimate wedding venue. 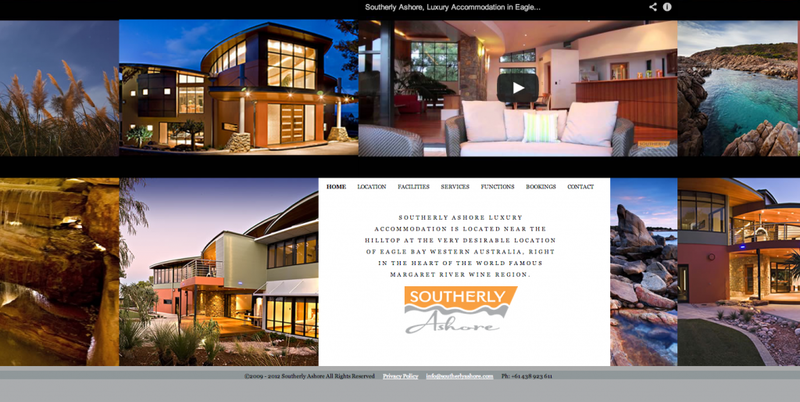 After purchasing the property last year, the new owners recognised the website was in need of a makeover to showcase the many features of the home. 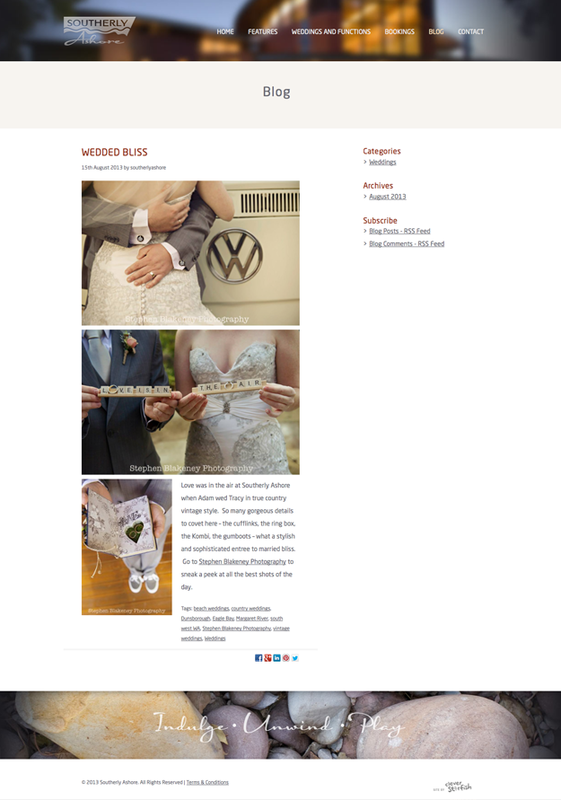 The new WordPress website puts large photos of the home centre stage, introducing the home and leading into the other pages. Each page has a unique image slideshow to display photos relevant to the othe page content. 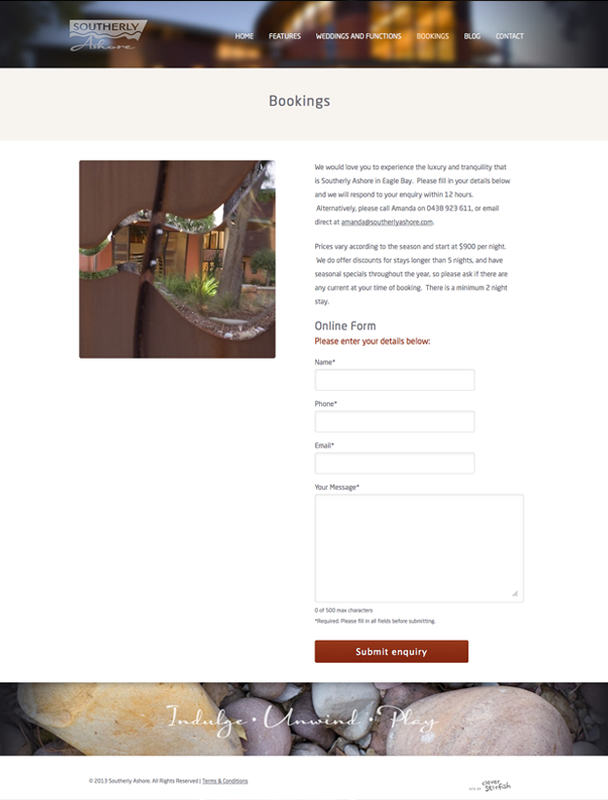 The blog is sure to feature some great photos from weddings held at the property as well as local destinations in the Margaret River area.